The centenary of the death of the first Irish Volunteer killed in fighting in the War of Independence will be commemorated this Saturday. Robert ‘Bobby’ Byrne was a patient in a hospital ward when he was shot during a daring attempt by comrades to free him from the custody of five armed policemen and a prison officer. One of the RIC constables was shot dead and another policeman seriously wounded at the Union Workhouse hospital (now Saint Camillus Hospital) on Shelbourne Road in Limerick on April 6, 1919. Byrne, bleeding from his wounds, escaped the hospital with IRA volunteers but died that night in a house two miles away in Knockalisheen, Meelick, Co Clare. In the aftermath of the dramatic event, Limerick was placed under a form of martial law known as a ‘Special Military Area’. The trade union movement in the city reacted to army control by starting a ‘General Strike against British militarism’. The strike became renowned as ‘The Limerick Soviet’ and lasted two weeks. 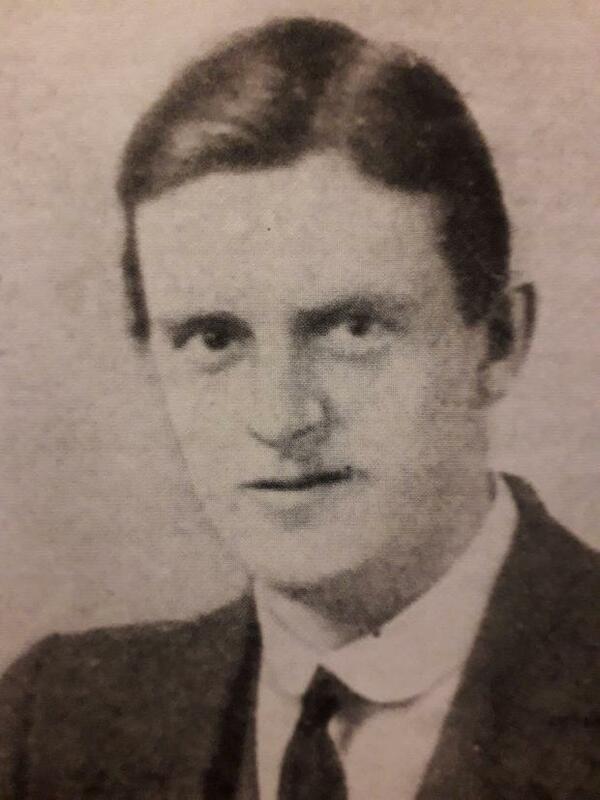 The centenary event this Saturday will be held at a monument to Byrne at Knockalisheen. A number of people in Irish Volunteer uniforms from the War of Independence period will attend, a piper will play a lament, there will be wreath laying. MC Cathal Crowe, a local Fianna Fail councillor, said that while local members of all the main political parties will attend, it will be a non-political community event, organised by the Meelick-Parteen and Cratloe War of Independence Commemoration Committee. Local historian and author Dr Padraig Og O Ruairc, who will deliver an oration, told the Sunday Independent that Byrne (28) was president of the Limerick branch of the Post Office Clerk’s Trade Union and was adjutant of the 2nd Battalion of the then IRA’s Limerick Brigade. Born in Dublin, he grew up in Limerick. He was arrested after guns were found in the family home in January, 1919. He and other republican prisoners went on hunger strike in Limerick Prison seeking political status.When his health began to deteriorate, he was transferred to hospital. A plan to free him was activated when two armed IRA Volunteers and more than 20 unarmed Volunteers entered the hospital and went to the ward where Byrne was kept. Michael ‘Batty’ Stack, armed with a revolver, signalled for his comrades to overpower the policemen and prison warder. Bullets were flying in the violent melee, hitting the walls and one ricochet damaged a Child of Prague statue nearby. Amid the commotion, patients, visitors and hospital staff ran for cover. Volunteers struggled to overpower the remaining policemen. Constable O’Brien, drew his gun but was shot and died shortly afterwards. Byrne was helped down the stairs and out of the hospital by two comrades who commandeered a pony and trap near the hospital. He was taken to the house of the owners of the trap, John Ryan and his wife Margaret, who lived at Knockalisheen. Though he received medical attention, he died in the Ryan home that night. His funeral at Saint John’s Cathedral in Limerick was one of the biggest in the city. Thousands of people, local dignitaries, and even British troops lined the route as a military aircraft patrolled overhead. A small park in Limerick is named in his honour. Constable O’Brien received a large funeral in his home town of Birr in Co Offaly. Dr O’Ruairc said Saturday’s commemoration marked a significant event in the fight for Irish independence.